We are committed to your success! Here are some of the resources available at Seattle Central College – and at the Health Education Center – to support your academic journey. Navigating college can be intimidating, but you’re never alone. We’re here to help you with your educational and career planning. Not yet enrolled? Contact the Health Education Center staff for more information on how to get started. Already a student? Health Education Center students can contact counselor Ruby Hansra, at Ruby.Hansra@seattlecolleges.edu or by calling 206.934.4044, for help with the academic and career planning.  Seattle Central College’s Career Services Center provides you with workshops, resources and other services to help you land a job after graduation. Health Education Center faculty and staff may also share information about internships, field placement and career opportunities with students and alumni. You can also check out the resources available on Career Hub, which can help you transition from school to industry.